Light refraction is the bending of light, or the change in direction of the rays as it moves past a boundary. For example, when light crosses through a window, it is refracted and can create a rainbow. 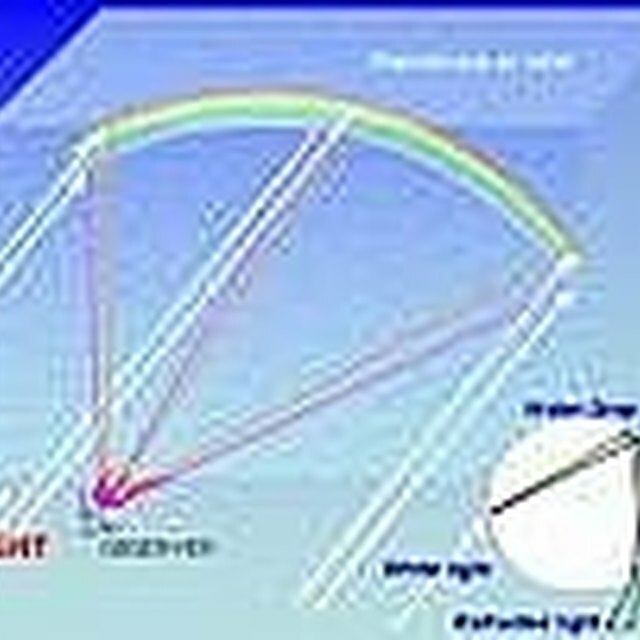 A prism illustrates this theory. As light passes through the prism, it refracts and separates into an entire spectrum, or rainbow, of light. Introducing this concept to preschoolers can be done by experimenting with prisms or by a simple project using a glass of water and a piece of white paper. Find a spot in your classroom where the sun shines directly through a window. Gather all of the children in this sunny spot and discuss how the rays of the sun are shining through the window. Tell them that you are going to add another boundary for the light to shine through, which will bend the light into seven different colors. Have one child fill the glass about halfway to the top with water. Place the glass of water in the direct line of sunlight and the white piece of paper on the floor where the rays ultimately end. 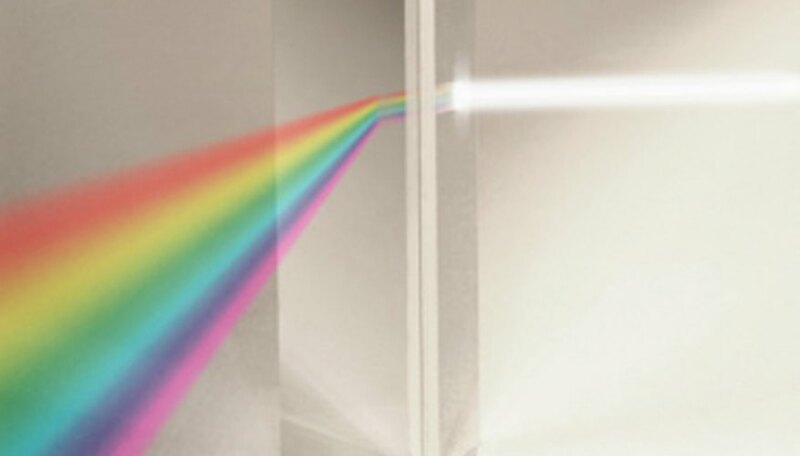 Show the children that the light shining through the glass of water has refracted and separated into seven different colors of the spectrum, or a rainbow. To help children remember this experiment, have them draw the steps you took to create the rainbow, or refract the light. Bietz, Kara. "How to Teach Light Refraction to Preschoolers." Sciencing, https://sciencing.com/teach-light-refraction-preschoolers-8439671.html. 24 April 2017.